Birthmark Removal - How to Get Rid Of Birthmarks? Are you looking for birthmark removal options? Do you wonder if skin lighteners are effective and safe to get rid of birthmarks? There are several ways to get rid of birthmarks, but some treatments can be dangerous, painful and they don’t always work. In this post you’ll learn about the different options to fade or remove a birthmark using medication, laser therapy, surgery, skin lighteners or even natural remedies. What are the main Birthmark removal procedures? Are skin lighteners effective and safe to get rid of birthmarks? How to get rid of birthmarks using natural remedies? A birthmark is a benign irregularity on the skin which is present at birth or appears shortly after birth. Some birthmarks fade, shrink or even disappear on their own. But sometimes birthmarks are associated with other health problems and need to be treated or removed. Large hemangiomas are often treated with medication, such as corticosteroids. They can be injected directly into the birthmark or taken orally. The medication usually slows down the growth of birthmarks and can make them shrink within a few weeks. However, corticosteroids have side effects and can lead to other health problems, such as lowered blood pressure or adrenal gland insufficiency. Steroids also are linked to mood disorders and insomnia. Laser therapy is a popular procedure for the removal of birthmarks, especially for port-wine birthmarks. Although complete disappearance is rare, most lighten after a few treatments. Some stains may return and need re-treatment. In average, a lighter shade stain often requires about 4 laser treatments, whereas the darker stains require 7 or more. A yellow light laser, called flashlamp pumped dye laser, is commonly used and has been the most successful at removing stains in infants and young children. 3. Can birthmarks be surgically removed? Yes, they can. However there are some risks involved. Infection, scarring or skin discoloration may happen after a birthmark removal. The risks of scarring increase with every treatment. There are other alternatives to remove birthmarks, known as cryosurgery and electrodesiccation. Cryosurgery is the application of extreme cold to the affected area. Electrodesiccation is the destruction of tissue by dehydration, done by means of a high-frequency electric current. These techniques appear to be effective for the removal of birthmarks. Always consult a practitioner if you want to get rid of a birthmark. Make sure to use an experienced doctor or cosmetic surgeon for any kind of birthmark removal. Hydroquinone is the most widely used ingredient in skin lighteners sold in the U.S. The FDA regulates the use of hydroquinone in the U.S. However, studies have shown that hydroquinone has some carcinogenic effects when applied to skin. It’s considered cytotoxic (toxic to cells) and mutagenic. Studies have also shown that long term hydroquinone use can cause exogenous ochronosis, which is when your skin turns a bluish and black color. Hydroquinone not only inhibits melanin production to help lighten skin, but long term use can actually damage your pigment cells. Some skin lighteners use natural compounds instead of hydroquinone. Kojic Acid is a natural substance that is derived from a Japanese species of mushrooms. It has traditionally been used in the production of a number of foods, including miso, soy sauce and sake. In studies, kojic acid has demonstrated efficacy similar to hydroquinone as a skin lightener in cases involving hyperpigmentation, freckles and age spots. It inhibits the action of tyrosinase, an enzyme that plays an important role in the production of melanin. The main side effect observed with kojic acid is skin irritation. When excessive amounts are used on the skin, it can lead to a condition known as contact dermatitis. For this reason, kojic acid is typically used in concentrations between 1-4%. Check this post about the pros and cons of using kojic acid soaps for skin lightening. Also read: Are kojic acid products safe to use? There are other natural skin lightening compounds, such as Sophora Flavescens. Recent Study has found that sophora flavescens has strong abilities in correcting skin pigmentation issues. 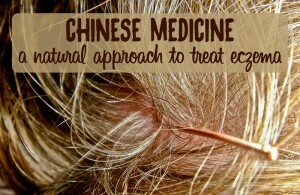 This plant has been used in traditional Chinese medicine for centuries. You can find birthmark removal creams that contain sophora flavescens on the market today. One of the most popular creams is Carapex Dark Spot Corrector. Skin lightening products do come with some risks. Topical creams may worsen the situation by irritating the mark. Always talk to your doctor before using a skin lightener and ask for specific instructions for the product. 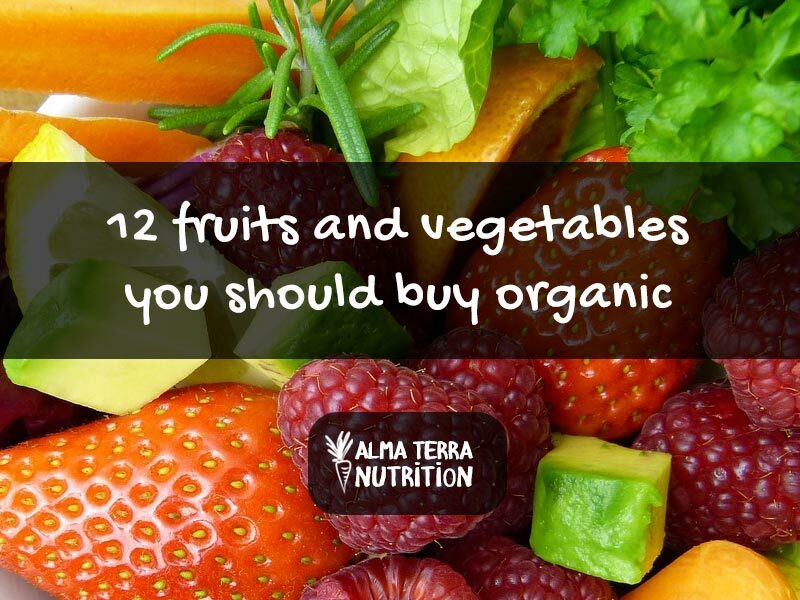 Also, make sure there is no mercury in the product. Even if using natural products requires a little patience, the good thing about it is that it can help moles or birthmarks to clear up without any pain or scars. 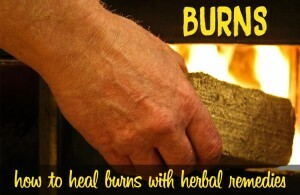 Some people have tried various natural remedies to fade or get rid of birthmarks. The results vary from person to person. Mainly it depends on the type of birthmarks you have. Lemon juice is one of the most popular remedies to lighten skin. Lemon juice is a bleaching agent that helps lighten the darker areas on the skin. For birthmarks, its efficiency depends on the size, the location and the type of birthmarks. Dab a few drops of lemon juice on the birthmark. Dry your skin off with a clean towel. This process can be repeated about four times a week. 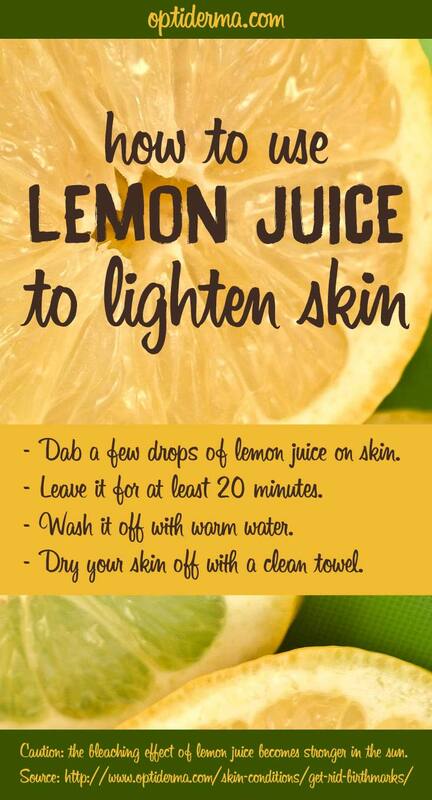 Don’t apply it every day as lemon juice tends to dry out the skin too much. You could combine this with a regular massage with olive oil. Olive oil is considered to be a natural moisturizer. It may rehydrate damaged skin cells, which in turn can help to lighten a birthmark. The bleaching effect of lemon juice becomes stronger in the sun. This can result in some very bad sun burns. It is advisable to stay out of the sun while the lemon juice is on your skin or apply the lemon juice before you go to bed. A birthmark should always be checked by a doctor before using lemon juice to get rid of it. If your child has a disturbing birthmark, talk with his doctor about options for birthmark removal. 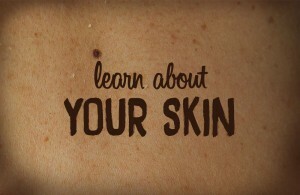 Some of the birthmarks may require removal; others don’t. In fact, most birthmarks fade on their own and don’t cause physical problems. In this case, it’s often recommended that you wait before you make a decision. In some cases, early intervention to treat certain birthmarks can be helpful. Birthmarks in infants are often removed using laser treatment. It is often recommended to start laser treatment in infancy for best results. 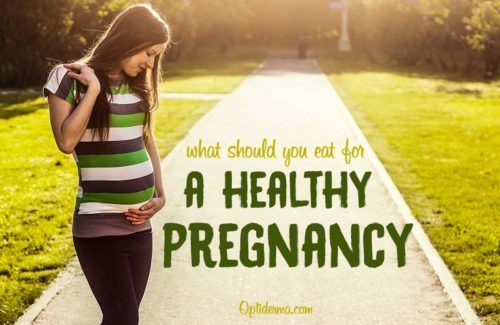 In infancy, the stain and the blood vessels are usually smaller. Older stain may be more difficult to get rid of. 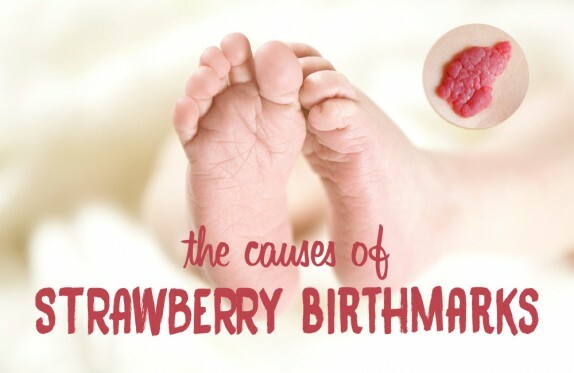 If your child has a strawberry birthmark, check out this post. You’ll learn about the causes of birthmarks in infants. If your birthmark is itching, bleeding, develops irregular edges, or if it’s changing color, shape, size, consult your doctor as soon as possible. Don’t irritate your birthmark unnecessary and be careful with sunburns. The sun can make haemangiomas temporarily swollen. Protect your skin with a high-quality sunscreen, wear a hat to protect your face and/or an umbrella to protect your skin from the sun. If your birthmark bothers you, using make-up to cover it up is a good option. There are a variety of products available . Finding the best product for you and the right shade for your skin is important. Everyone has different ways of coping with and accepting a birthmark. One of the hardest aspects can be coping with the reactions of others. From childhood to adulthood, there can be many challenges along the way. Birthmarks can cause emotional and social problems especially when they are highly visible. Finding someone to help through the emotional aspects of having a birthmark can be really helpful. Cassandra was born with a huge brown birthmark on her right cheek, and her parents were given the option to have it removed. But concerned that it would leave her face heavily scarred, they decided against it. Cassandra is now a professional dancer and she has refused to have plastic surgery to remove her birthmark as she has chosen to embrace her individuality. 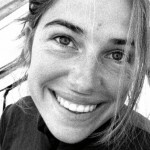 She says that she loves her unique appearance and even credits her birthmark for making her memorable in her industry. What about you? 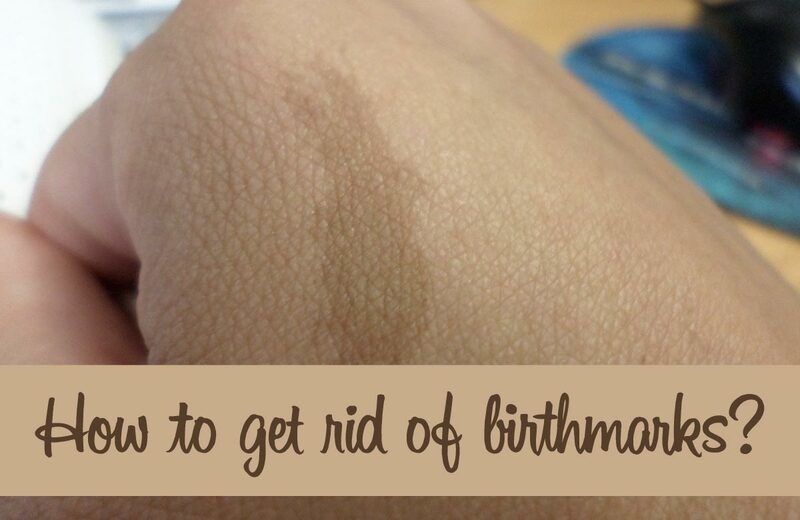 Do you want to get rid of your birthmark? Feel free to leave a comment to share your experience with others!